AR Cail Excavation is a local full service excavation company. We specialize in site work, sewer, septic, water lines, lot clearing, and road construction. Our company will service clients in the Greater Portland, Maine and Windham, Maine lakes area. We are equipped to handle residential or commercial projects. As a local business we are committed to maintaining the highest level of quality for our clients and we strive to be sure we have met all your needs. For 3 generations we have been working with homeowners and businesses to help them with their excavation needs. We take pride in making sure your project is completed on time, on or below budget, and we make sure you are satisfied with the result. We are a reputable, experienced excavation company. Call us to have a professional company prepare your land for a foundation for your new home. We are pleasant and easy to work with for all your hardscape, driveway, landscaping, septic system and excavation projects. Why would you hire several contractors, when all you need is one? A.R. Cail Excavation is certified to specialize in complete home packages. We will clear your lot to get ready for the foundation work. Then we get the foundation ready for your new home. Once the house is complete, we will get you set up for a new lawn and driveway installation. 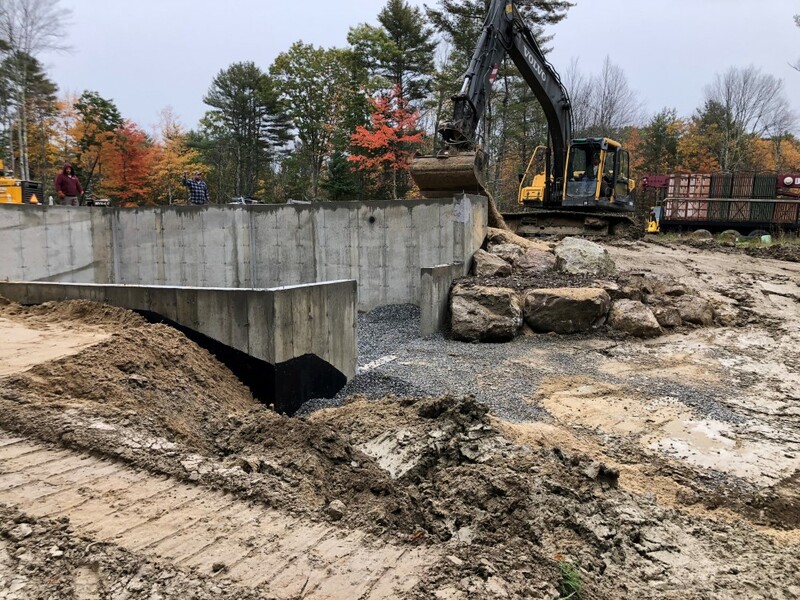 We will also put in the septic systems, drainage systems, water and sewer lines. Clients like working with Andrew Cail Excavation! Harry Hanlon says, "I've known Andrew almost my whole life and have had many good experiences with his work."